Trees need rich nutrients to thrive, and a tree that is healthy and thriving are not prone to an insect infestation. To give your tree proper nutrients, make sure the soil is fertile and ideal to grow . Add compost to the land once a year, as this will provide your tree with the sustenance it needs to grow tall and strong. Do not over fertilize because the nitrogen in the soil can reduce the number of nutrients the tree roots receive. In addition to proper earth, good drainage is needed to avoid insect problems, including the pests that live on fungus and mold. A healthy tree is pruned correctly and often. Pruning trees gives the tree excellent air circulation through the limbs and leaves, especially in the canopy. This air circulation is key to preventing infestations and diseases. You need to take great care when pruning though because if done poorly, the tree will have open wounds where limbs were snipped. These wounds are like on a human body. You have more chance of infection occurring where the injury is located. It can be attacked and entered by insects and other pests. If you have not pruned before, search for a tree service company near me it may be worth it to call in a professional to be able to watch and learn how to prune correctly. Mulching around a tree is an excellent way to keep the tree healthy and living its best life. Mulching provides temperature regulation to the soil as well as retaining moisture for the tree, especially in the hot summer. Unfortunately, you can over mulch, which will cause the tree to endure root rot or wet soil. Both of these conditions can lead to an insect infestation. Beware of mulching during the late fall as the mulch will provide a secure home for insects during the winter. These same insects can then attack your tree and cause multiple problems. All trees need water, but so many trees get too much water, which then can lead to a bunch of issues such as root rot, fungus growth, and insect infestations. Make sure your trees are watered correctly for the season they are in. Urban areas tend to overwater their trees and then notice the tree is sluggish as it is developing a disease or having insect infestations. These problems could lead back to the overwatering. On the other hand, too little water can also be dangerous for a tree. The tree becomes stressed and is more apt to have an insect infestation occur due to the stress the tree is under. Test the soil near your tree to verify your tree is getting enough moisture by digging down two inches and feeling the soil. Is it dry? Moist? Wet? If it is dry, water the tree immediately. Moist is right where you want it, so keep on the water schedule that you are currently following. It is critical when fall arrives to prepare for winter in your backyard and near your trees. Make sure to rake up leaves, clean out the gutters, trim back overhanging branches, remove seedpods or fruit, or any other organic flora material. Insects love to live in fallen leaves or fruit. They also find dead branches and make a home there. By removing all the debris, you can keep pests and insects out of your backyard and away from your trees. What Are The Ways To Keep Pests Out Of My Trees? 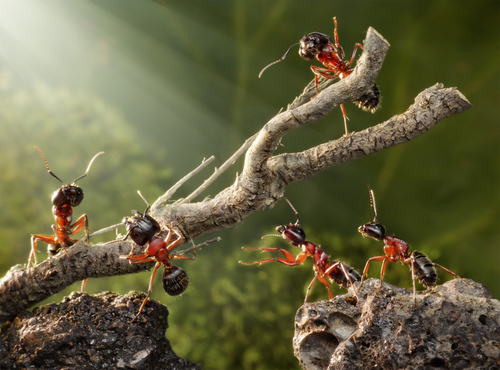 Pests such as insects can be very annoying and if in your trees, can cause an infestation and severe damage to your foliage. You want to make sure you take every precaution to keep insects away from your trees. You can accomplish this by using the proper soil with good drainage. Frequent and correct pruning, as well as appropriate watering, will also keep pests away. Do not mulch in the late fall and make sure you are cleaning up foliage debris once autumn has arrived. By doing so, you are giving your tree optimal health for years to come! Thanks to Jason the best tree services near me guy in Maryland.